There are many beautiful places and natural attractions on our planet, from tall mountains and deep seas to hidden caves and tropical islands. We present you the most stunning places on Earth you will sure want to visit. Nature is full of wonders and stunning locations. There are so many different landscapes, climate areas, geological formations, curious water phenomena and other natural attractions to admire. Rainforests, open seas, deep caves and high cliffs – this is nature on its best. It is a sad fact that civilization and untouched nature don’t always go well together so it is not surprising that many of the most stunning places on Earth are situated in remote locations. However, this only adds to their charm and it shows all the beauty of our planet. If you are bored of the usual destinations and conventional hotels, why not try something different? Traveling to exotic locations and exploring natural wonders of the Earth make for an unforgettable experience. It is particularly recommended for those who prefer adventure to an idle holiday. Since many of these impressive natural landmarks are located in remote areas, this type of exploration is ideal for those who are fit and ready for challenges. That doesn’t necessarily mean that you need to be in a perfect shape to visit the world’s most beautiful places. The good news is that the beauty of these locations has been recognized by governments so the landmarks are often included on the tourist maps. Many of these landmarks have comfortable accommodation nearby and organized tours so you can enjoy these places even if you are not particularly adventurous. In other words, it is possible to combine comfort and nature exploration so think about this option the next time you plan a holiday. Here is a list of the most stunning natural attractions in the world that you should visit at least once. These locations are listed in random order – this is not a competition to judge which one is the best and most impressive. The planet Earth offers so many wonders that it is difficult to choose only a handful of them. However, some places and attractions are a must-see so make sure to pay them a visit. Victoria Falls is the most stunning waterfall in the world. Located on the border of Zambia and Zimbabwe, this African natural wonder is considered the largest waterfall in the world. The area is known for stunning scenery extending on the both sides of the river Zambezi over a flat plateau. At one place, the river encounters a sharp drop due to a fracture zone in the plateau, resulting in an impressive waterfall. The drop is over 1700 meters wide, which makes Victoria Falls one of the most impressive natural attractions in the world. The water cascades down the basalt rocks to the depth ranging from 80 to 108 meters. There are two larger islands and many smaller islets located in the chasm. The islands and islets further divide the water into a series of smaller waterfalls. 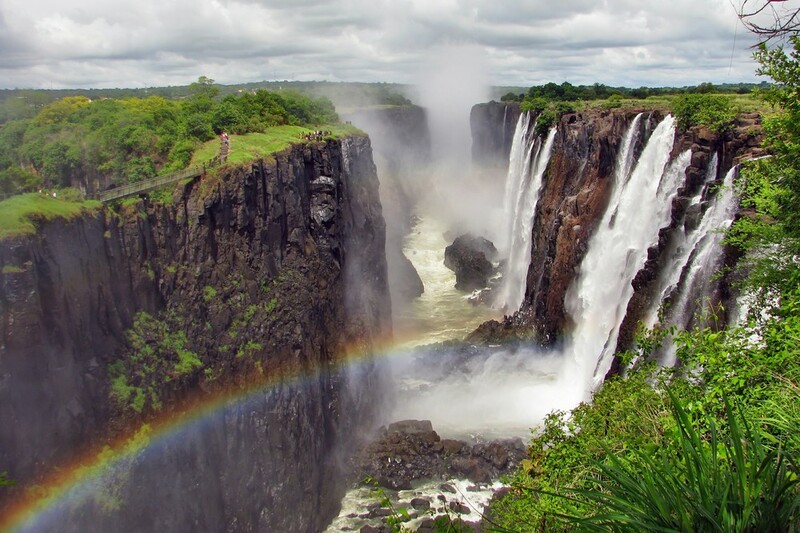 Victoria Falls is also one of the rare places on Earth where you can see a Moonbow (a lunar rainbow). Mount Roraima belongs to the Pakaraima mountain chain and is one of the most stunning natural attractions in South America. The mountain has a 31 square kilometer summit area and is known for its 400-meter high cliffs. 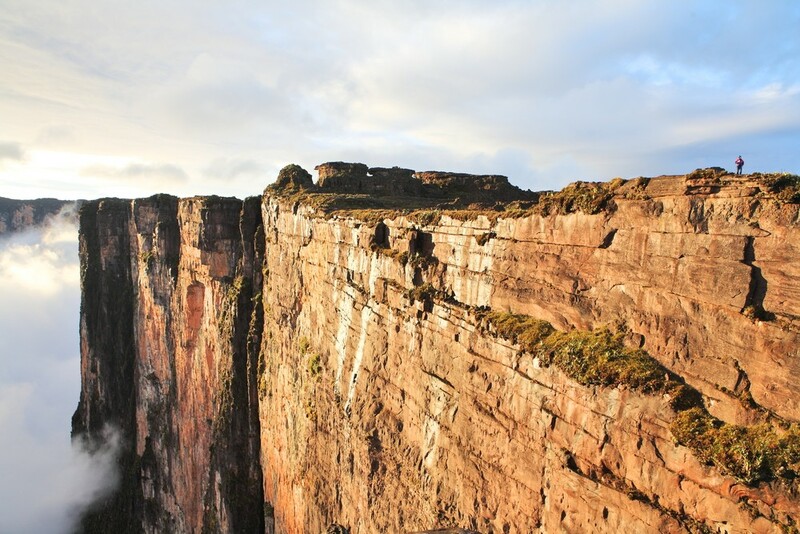 This peculiar geological formation is used as a triple border between Venezuela, Guyana and Brazil. Mount Roraima is part of the Canaima National Park. The mountains within the Park are among the oldest geological formations in the world. Mount Roraima is the most attractive of them all because of its plateau that offers stunning views hundreds of kilometers in all directions. Greece is known for its beautiful Mediterranean islands but one of them is truly remarkable. Located just north of Crete, the island of Santorini (also known as Thera) is a stunning example of volcanoes shaping the landscape. The entire island as we know it today was created as a result of a volcanic eruption that occurred 3,600 ago during the Minoan period. As a result of the eruption, half of the previous landmass disappeared into the ocean, creating a huge central lagoon surrounded by volcanic cliffs. 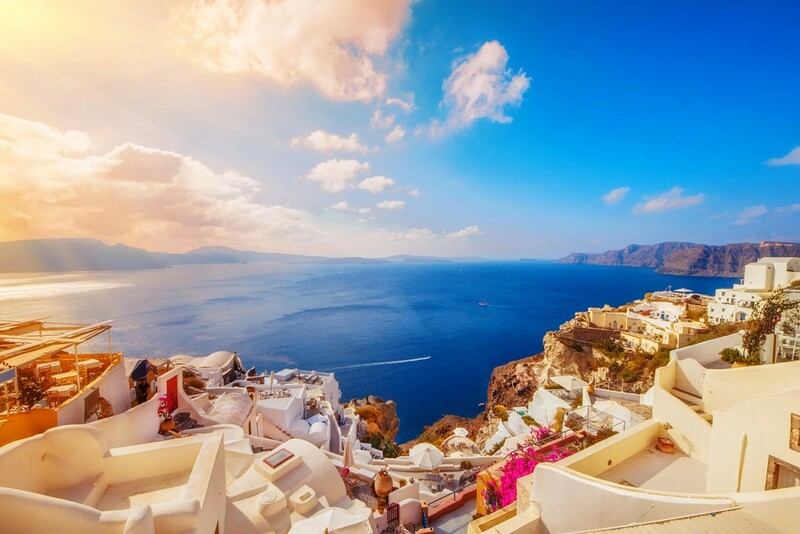 Santorini is great for exploring volcanic landscapes coupled with stunning views of the Mediterranean Sea. You can also enjoy some of the most stunning and peculiar beaches in the world filled with black and red volcanic pebbles. 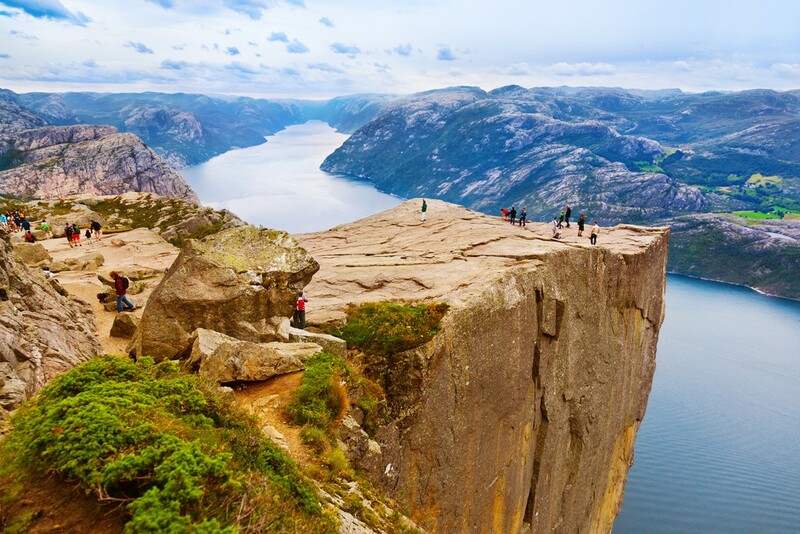 Preikestolen, also known as “Preachers Pulpit” in Norway is a steep cliff rising over 600 meters above the Lysefjorden fjord. 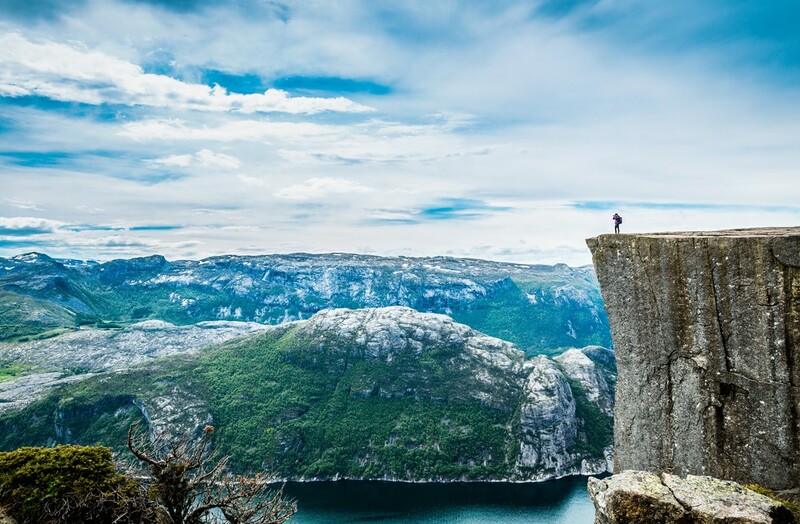 As such, it offers stunning views to the surrounding landscape and makes one of the most popular natural attractions in Norway. The top of the cliff can be reached only through a 3km long hike path, so this is a great option for those who like adventure and a more active holiday experience. 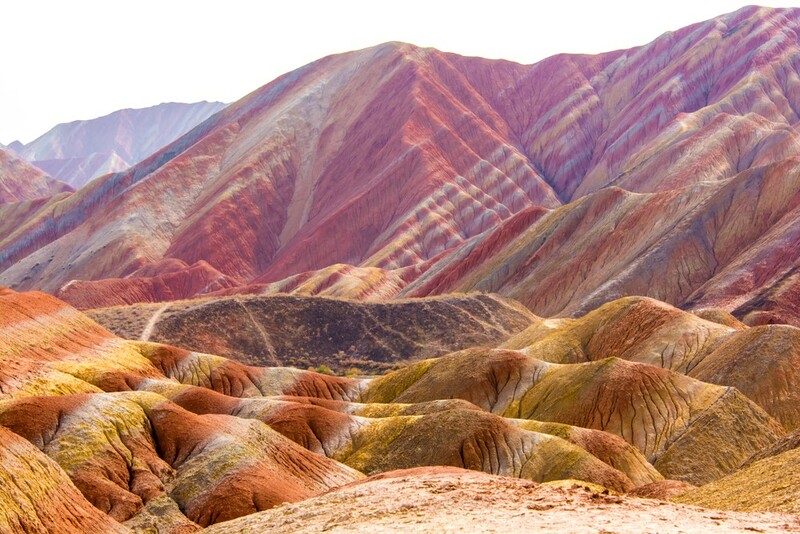 Rainbow Mountains are located in the Zhangye Danxia National Geological Park, China. The mountains are known for very unusual colours of the rocks, including red, orange, yellow, brown and even shades of blue and grey. The rocks are several hundred meters tall and rise sharply over the surrounding terrain. The Rainbow Mountains have been voted one of the most stunning landforms in all China. Zhangye Danxia Mountains are created by sandstone and other mineral deposits that have been layered over the course of more than 20 million years. Weather conditions such as wind and rain, as well as time, are responsible for shaping the rocks and producing extraordinary colours and patterns that can be seen today. 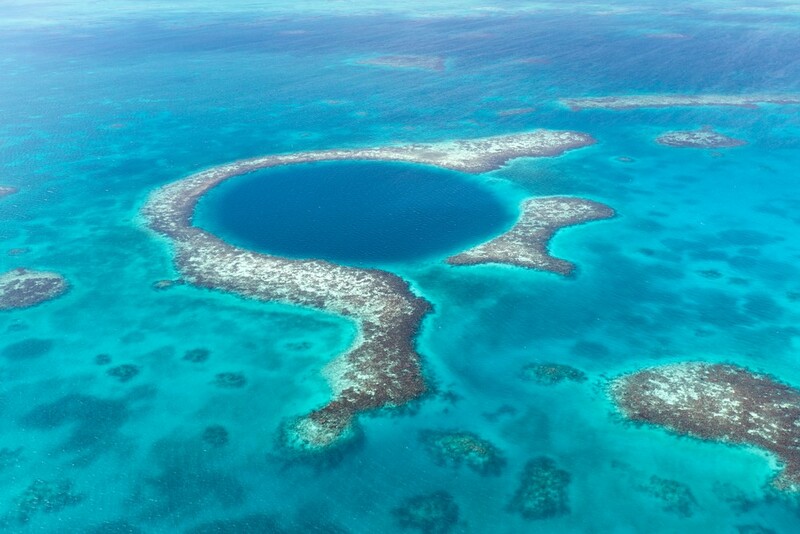 Blue Hole, also known as The Great Blue Hole, is a huge marine sinkhole in Belize. Blue holes are large marine caverns opening to the surface. They extend deep below the sea level and are known to contain caves and other submarine passages. The Great Blue Hole is the most impressive of all the blue holes. Located just off the coast of Belize, it lies in the center of a small atoll called Lighthouse Reef. The Hole is almost circular in shape and extends more than 100 meters below the sea level. This is an amazing natural phenomenon in the Caribbean and one of the most stunning places in the world. Vatnajökull (Vatna Glacier) is the largest ice cap in Iceland and the second largest glacier in northern Europe. Located in the south-east part of Iceland, Vatnajökull contains mesmerizing ice caves spreading hundreds of meters in every direction. The caves are known for their beauty and shiny experience so they are often dubbed “the Crystal Caves”. This is one of the most stunning natural phenomena involving ice and cold climate. 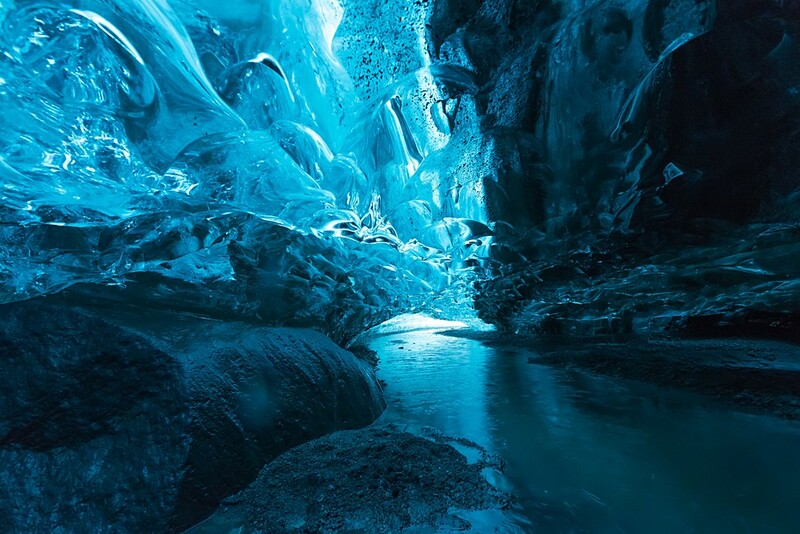 The glacier covers a wide area of about 8,000 square miles and contains numerous ice caves you can visit. During your next trip to Iceland make sure to book a tour to explore these Crystal Caves. Vaadhoo island in the Maldives is known not only for its tropical beauty but also for the most stunning marine bioluminescence in the world. 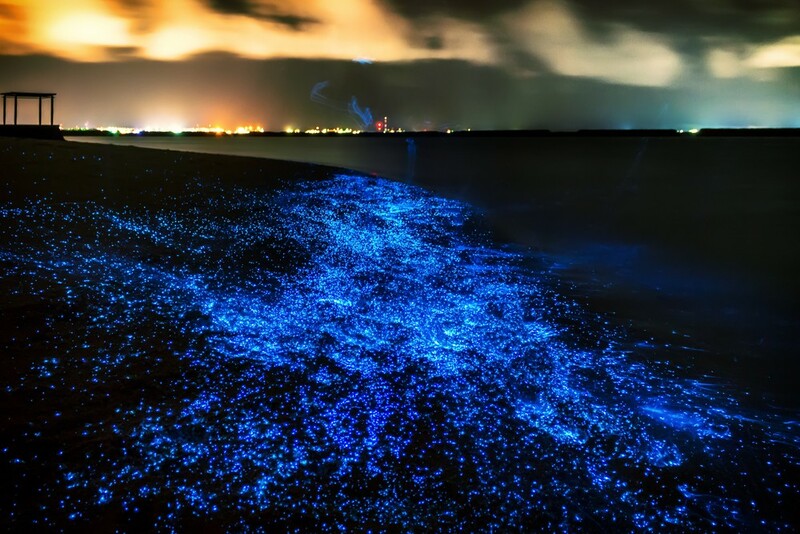 Dubbed “the Sea of Stars”, the ocean around Vaadhoo island glows and sparkles during the night, which can be easily observed on all the island’s beaches. The phenomenon known as marine bioluminescence is produced by a phytoplankton that makes algae shine and become illuminated. This is a defense mechanism made to disorientate potential predators. Vaadhoo island is the best location in the world to enjoy the Sea of Stars, particularly during summer months. Uluru (also known as Ayers Rock) is a huge sandstone rock formation located in central Australia. It is one of the largest monoliths in the world. The rock formation rises over the surrounding plain and makes the most recognizable geological landmark in the area. Uluru is a sacred place to Anangu people. Uluru and Kata Tjuta, another impressive geological formation, are part of the Uluru-Kata Tjuta National Park. The area is known for numerous rock caves and waterholes. 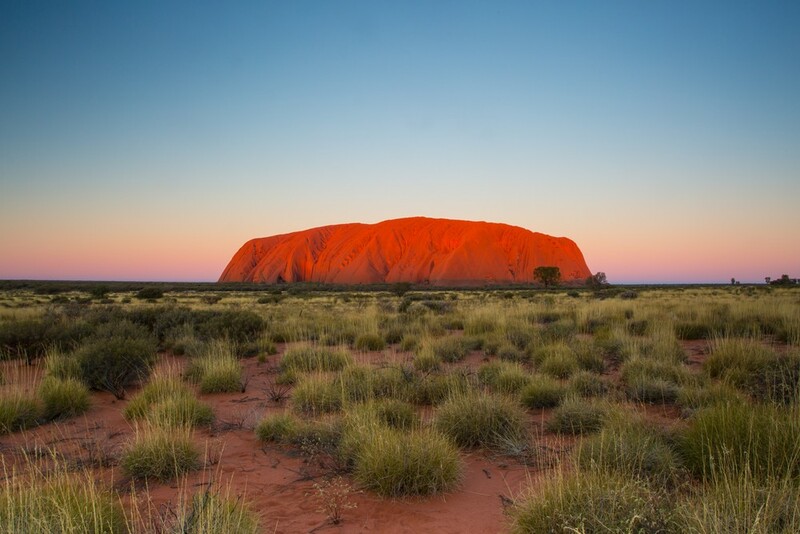 Uluru itself rises more than 300 meters in height and has more than 9 kilometers in circumference. It is known to change colour depending on the time of the day, particularly during sunset. 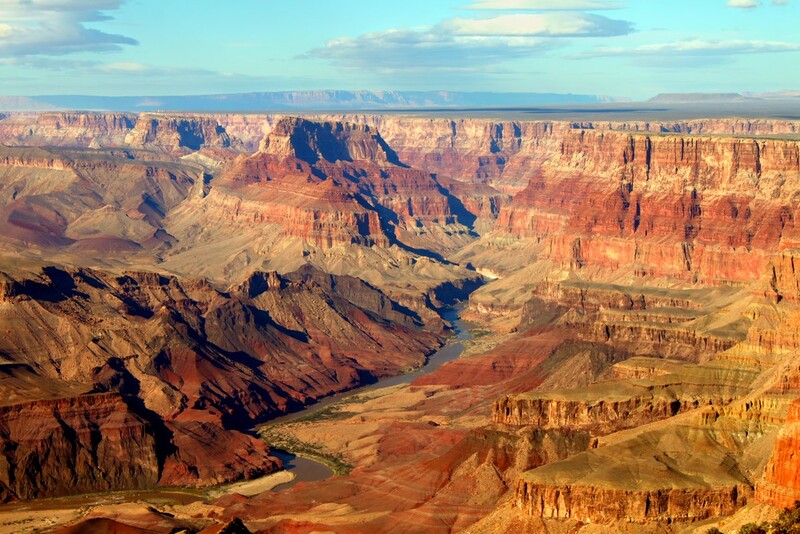 Grand Canyon is one of the most stunning geological formations in the USA. Located in Arizona, the canyon is a result of the Colorado River carving its way through the rocks for millions of years. The river and its tributaries keep producing numerous channels and passages in the rocks, deepening and widening the canyon. The Grand Canyon is more than 400 kilometers long, almost 30 km wide and over 1800 meters deep. The area has been inhabited by Native Americans for thousands of years. Today, this is a famous tourist attraction and a popular location for camping, hiking and other sports. 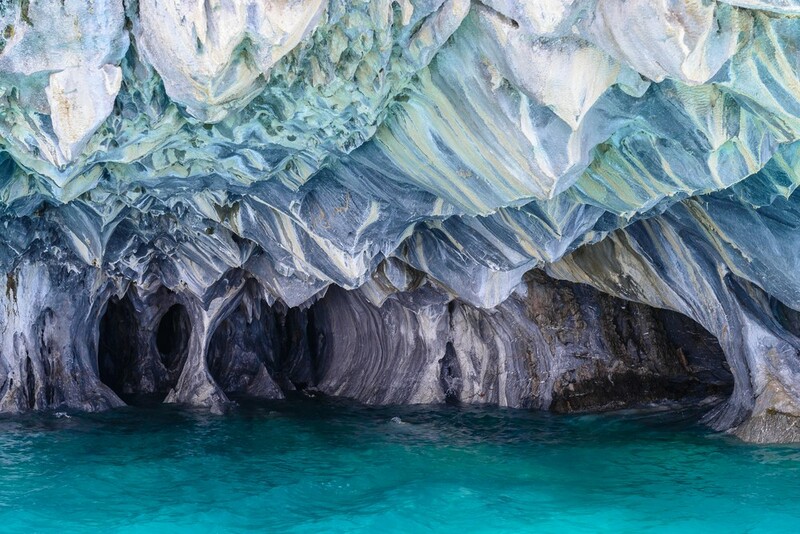 Marble Caves at General Carrera Lake, Patagonia are considered the most stunning caves in the world. This cave formation is also known as the Marble Cathedral. Famous for its wide caverns and beautiful sculptures created by waves, this cave system is a must-see attraction for those who appreciate the wonders of nature. The caves are created on a peninsula in the middle of the glacial lake. The lake and peninsula make the border between Chile and Argentina. The walls of the caves reflect the waters of the lake, thus inspiring the name “Marble Caves”. The colours of the reflections change from turquoise to deep blue, depending on the weather, season and water levels. 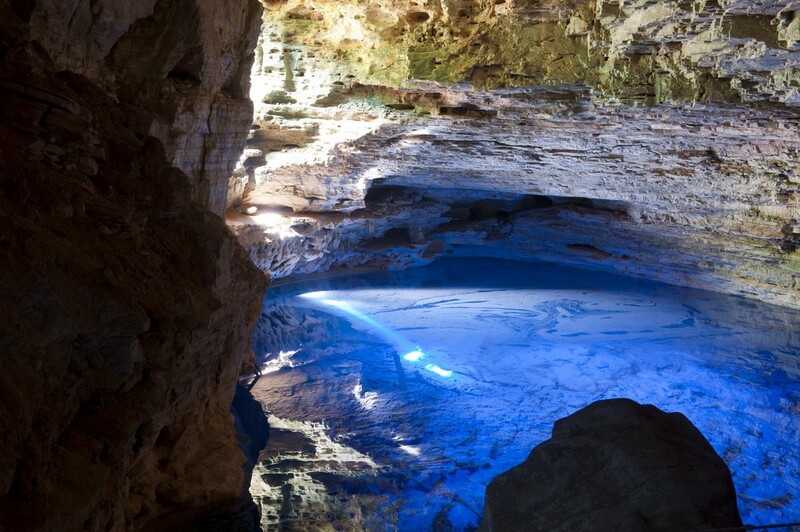 Enchanted Well in Chapada Diamantina National Park is one of the most stunning natural wonders in Brazil. This natural park is full of magnificent waterfalls and beautiful caverns filled with pools. One of those pools is particularly interesting for its mesmerizing colours. Called the Enchanted Well, this is a 30 meter deep sunken pool within one of the cave passages. The water in the pool is so clear that you can see rocks and tree trunks on the bottom. The most fascinating view happens when the sunlight comes through the gaps in the rock and illuminates the water, creating blue reflection. It is not surprising that the pool was named the Enchanted Well! 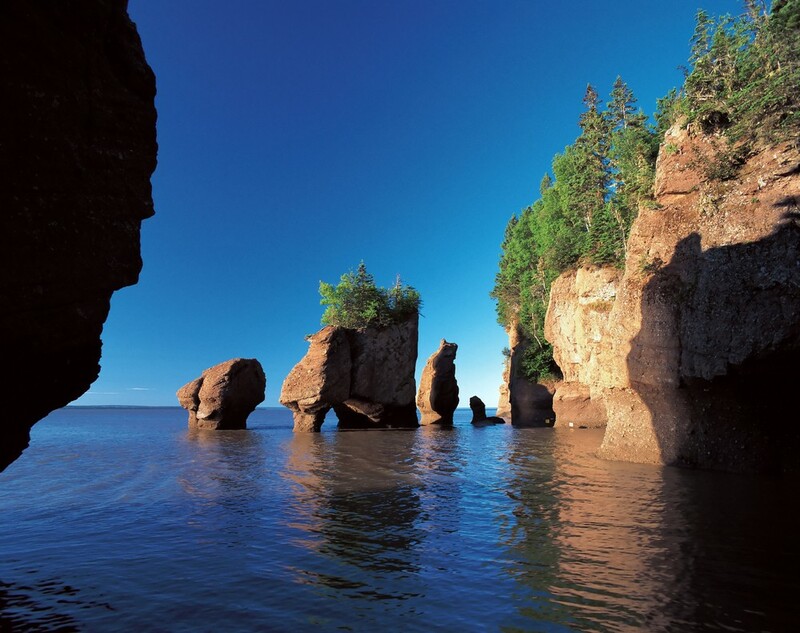 The Hopewell Rocks are impressive geological formations in New Brunswick, Canada. These rocks were formed by tidal erosion and now rise from the water to create a stunning landscape. The rocks at the Bay of Fundy get covered in water twice per day, depending on the tide. As such, they disappear and reappear from the view. If you wish to witness these impressive rock formations from the ground, make sure to visit the site at low tide. The Rocks are known for their rich flora and fauna, particularly birds. The cliffs are prone to erosion, which is responsible for the unique shapes of the Hopewell Rocks. Salar de Uyuni is the largest salt flat in the world. 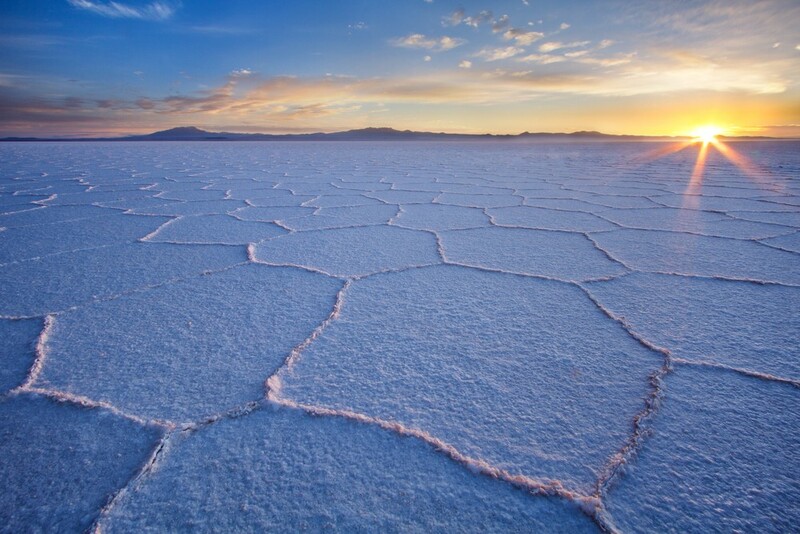 Located in Bolivia, this salt flat is a remnant of a prehistoric lake. The landscape is characteristic for its unique rock formations and lonely islands. The area is covered by salt, which makes one of the most stunning natural attractions in this part of the world. It is interesting to note that while animals are rare in the area, Salar de Uyuni is regularly visited by pink flamingos, who use the salt flat as a breeding ground. The area is particularly impressive when the sunlight hits the surface covered by salt. Avatar Hallelujah Mountain is an impressive sandstone pillar in the Zhangjiajie National Forest Park in China. The pillar rises over the surrounding landscape over 1000 meters in height. The scenic park is known for tall geological formations and Avatar Hallelujah Mountain is the tallest of them all. The Mountain and other pillars were created by physical erosion, mainly coming from the expanding ice and plants that grow on the rocks. Also known as the Southern Sky Column, the pillar has been officially renamed in honour of the film “Avatar”, since it served as an inspiration for the “Hallelujah Mountains” in the movie. 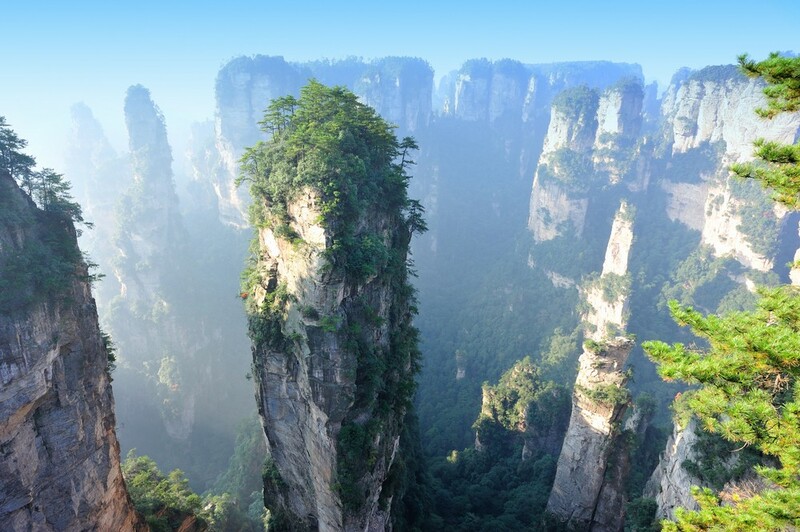 The Mountain and other pillars in the Zhangjiajie National Forest Park are covered by dense foliage. The pillars are among the most stunning natural formations in China and are frequently depicted on traditional Chinese paintings. 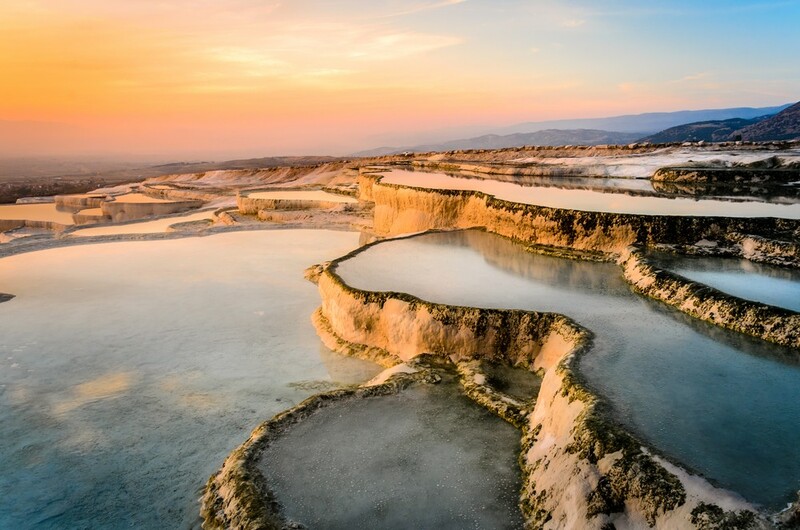 Pamukkale in Turkey is known for its mineral thermal waters and stunning cascading cliffs. As the water cascades down the cliffs it cools down, creating impressive deposits of bright white calcium. These pools dominate the surrounding terrain, creating one of the most stunning natural attractions in this part of the world. Pamukkale has been used as a spa since the Roman times. It is included on the UNESCO World Heritage Site list since 1988. Today, Pamukkale is a famous spa and a popular tourist attraction. 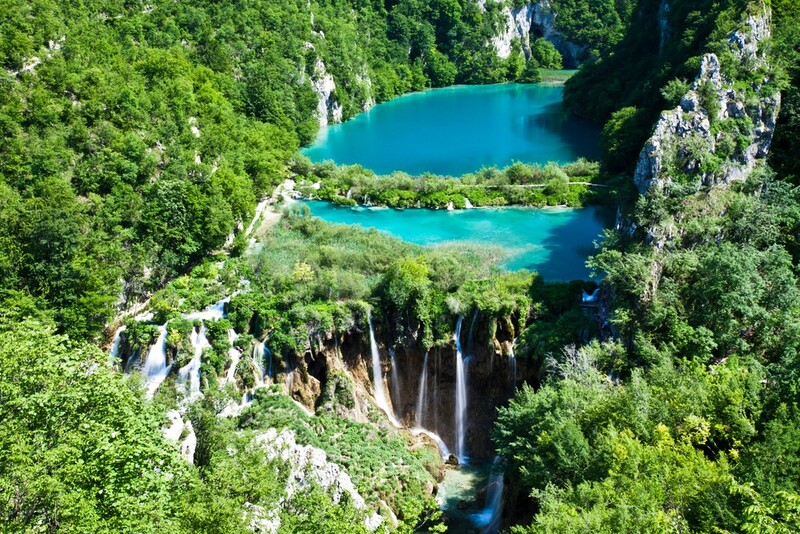 Plitvice Lakes in Croatia are among the most stunning lake systems in the world. The 16 lakes are situated on the plateau between the mountains, which results in gorgeous scenery. The lakes are divided into the upper and lower cluster: there are 12 upper lakes and 4 lower lakes, with the upper lakes generally larger than the lower ones. All of the lakes are interconnected and include stunning waterfalls. The Lakes are known for their beauty and the forests surrounding them. Perhaps the most impressive feature of the lakes are the changing colours of the water, from azure to blue and green. The colours of the Lakes change depending on the sunlight, water level, minerals and organisms in the water. Along with Victoria Falls, this is one of the rare places on Earth where you can witness a Mooonbow (lunar rainbow).